Kellogg has issued a recall for several cookie and brownie products over fears they may contain peanut residue without any indication on the label. The recall was made after Kellogg flour supplier Grain Craft discovered some of its wheat flour had low levels of peanut residue. 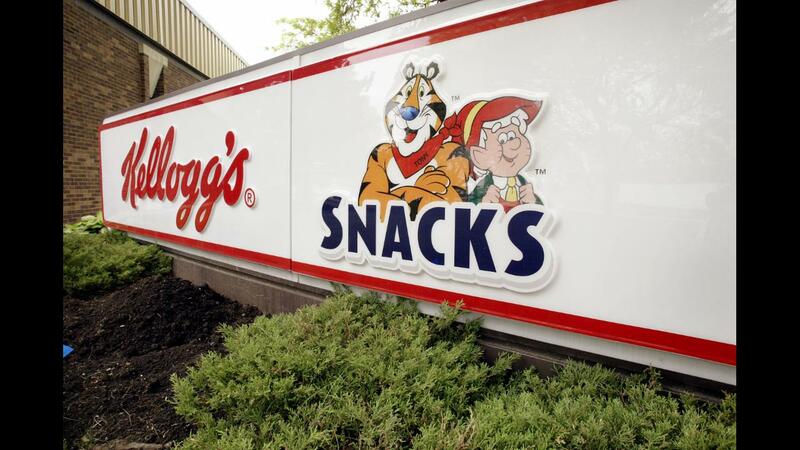 A list of the recalled Kellogg products is on the company's website. It includes several varieties of cookies and brownies sold under its Keebler, Famous Amos, Special K, Mother's and Murray brands. Seventeen different Kellogg products are being recalled. The Food And Drug Administration warns that people with a severe peanut allergy shouldn't eat the products. It also said the amount of peanuts in the flour is low so it's unlikely to affect people who have less severe allergies. Kellogg's recall comes soon after Frito Lay and Hostess recalled several projects that used Grain Craft flour. The Hostess recall affected several of its products including Ding-Dongs and Zingers. Frito-Lay ended up recalling several different Rold Gold pretzel packages. When Hostess issued the recall earlier this month, it said it was aware of two allergic reactions related to its products, but Frito Lay and Kellogg say they aren't aware of any for theirs. Grain Craft said at the time its recall was a result of "agricultural cross-contact, which is the result of customary methods of growing, harvesting and shipping of wheat and other agricultural products." Grain Craft only sells products to other companies and doesn't sell anything directly to consumers. It issued the recall after Hostess discovered the peanut residue in its flour.